In recent years, Arizona has seen its population growing three times faster than the national average, leading to increased demand for new and retrofitted HVAC systems for its hot and arid climate. If you’re looking for a career in HVAC, Arizona offers both growth prospects and job stability for the next few decades. Due to the Grand Canyon State being both dry and at the forefront of the solar industry, you’ll have an advantage if you are familiar with water conservation for HVAC and renewable energy as well as building design. Arizona HVAC Contractors must have an EPA Section 608 certification in order to work with refrigerants. 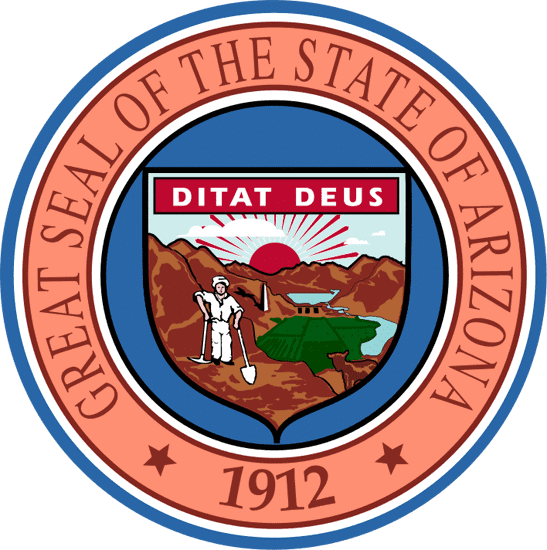 HVAC technicians who own their own businesses have to be licensed by the Arizona Registrar of Contractors, which requires four years of experience before they can be licensed. The Arizona Registrar of Contractors provides you with a CR-39 specialty license for Air Conditioning, Refrigeration and Heating, or a CR-79 specialty license Air Conditioning and Refrigeration Including Solar. Technicians must pass a business management exam and an Air conditioning and Refrigeration Trade Exam. Those who plan to work on solar units must also take the Solar Exam. HVAC engineers always require at least a BS in a related Engineering field such as Mechanical Engineering, in order to find work. If you wish to stand out as an engineer, you can apply for certification from the American Society of Heating, Refrigeration and Air Conditioning Engineers (ASHRAE), which requires you to pass a written exam to demonstrate your knowledge. To keep your certificate current you’ll need continuing education and have to pay a renewal fee. HVAC Technician in Phoenix, AZ. is $44,815 which is 3% above the national average. For workers with more experience and specialties, the salary can be significantly greater than the average. HVAC careers in the US are growing at a rate of 14 percent, according to the U.S. Bureau of Labor and Statistics (BLS), which is much faster than the nationwide job growth rate. Arizona is seeing ast population growth as well, leading to faster demand for HVAC as well. This 40-week-long program requires a high school diploma or GED to enroll. 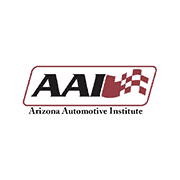 The AAI is located in Glendale, Arizona, and is a branch of their Platt College, Tulsa OK campus. Program graduates get employment as Heating and Air Conditioning Mechanics and Installers as well as Refrigeration Mechanics and Installers. The cost for the program is $19,220 for tuition and fees. 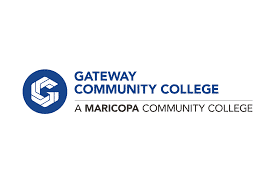 The program offered by Pima Community College is designed to help you learn to repair, install, service and maintain HVACR systems. It includes diagnostic techniques, the use of testing equipment and the principles of mechanics, electricity, and electronics with respect to the repair of heating, air conditioning and refrigeration systems. The curriculum requires a total of 38 credits, consisting of 31 core credits and seven required support credits. After completing this certificate, you can proceed with your studies by taking classes in the Building and Construction associate's degree program. Graduates of this program could work as HVAC/R technicians or HVAC-R system installers. AWC offers a certificate program for entry-level employees in the HVAC industry. The 38 credits certificate gives students the necessary skills to troubleshoot, repair, maintain and service AC units and related electrical controlling devices. The curriculum is aligned with National Center for Construction Education Research standardized national skills standards for the construction trades. This 20-credit certificate course is also for entry-level jobs in the HVAC industry. It includes training in troubleshooting, maintenance, repair and servicing of A/C units. The AWC also offers Associate Degrees in this field. This 64-credit program gives students the essential skills related to both heating and cooling including each type of refrigeration system, its uses and the controlling devices. This 75-credit program provides courses in the air‐conditioning and technical subject areas. It can be used as a preparatory program and credits can be transferred to a four-year degree program at a university. The East Valley Institute of Technology offers Adult Education in HVAC which is accredited by the Commission of the Council on Occupational Education. The program provides training in electrical maintenance, residential, commercial and industrial wiring, appliance repair, installation of light and power equipment and repair of electronic controls and circuits. Everything you need to learn to install, service and repair air conditioning, refrigeration and heating equipment is taught in this program. Internships and job-shadowing opportunities are also available. The program prepares you for the Arizona State Examination for refrigerant licensing, which is required to become a certified HVAC Technician. The program is 10-12 months long and various funding opportunities such as federal student aid, GI Bill, tribal funding for eligible students, scholarships and interest-free payment plans are available. 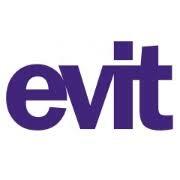 To enroll at EVIT, you must reside within the boundaries of one of the 10 East Valley school districts served by EVIT. Those districts include Scottsdale, Fountain Hills, Mesa, Tempe, Apache Junction, Chandler, Gilbert, Higley, Queen Creek and J.O. Combs. The 3-year program is designed to provide training in the areas of heating, ventilation, refrigeration and air conditioning (HVAC&R) systems, electricity, electronic controls and instrumentation, hydronics, electro-mechanical devices and general repair. Students learn skills needed to solve problems quickly in emergency situations. They can develop their written and verbal communication skills through general education courses. The total credits required are 65-17. This 2-year program is designed to provide training in the areas of Heating, Ventilation, Air Conditioning and Refrigeration (HVAC/R) systems, electricity, electronic controls and instrumentation, hydronics, electro-mechanical devices and general repair. The total credits required are 44-47.5. The 1-year Certificate of Completion (CCL) in Residential and Light Commercial Air Conditioning program is designed to provide training in HVAC/R systems, electricity, electronic controls and general repair. Students learn skills necessary to assess and solve problems quickly in emergency situations. The total credits required are 22-25.5. The median annual salary for a Mechanical Engineer in Phoenix, AZ is $65,434. Salaries generally range between $60,818-$70,923, not including bonus and benefits. HVAC Engineers earn from approximately $69,686 per year for Mechanical Designer to $124,830 per year for Design Engineer. However, the projected outlook for this field is lower than the national average of 7%. According to the BLS, employment of mechanical engineers is projected to grow by 5% from 2014-2024 nationally. Arizona is expected to grow faster than the national average due to the growing population. The undergraduate program prepares students for a career in mechanical engineering through the study of the principles governing energy transfer, mechanical design, sensors and control devices and the application of these principles to the creative solution of practical modern problems. State-of-the-art laboratories and computational facilities support the research and educational missions. This major offers a chance to analyze technical problems in energy efficiency, renewable energy, environmental sustainability, air pollution, climate change and other issues facing the global community. Both of these BSE degrees require 120 credit hours. The MS program requires writing and defending a thesis. This degree program prepares engineers for doctoral study or industrial positions that specialize in research, project management and product innovation. 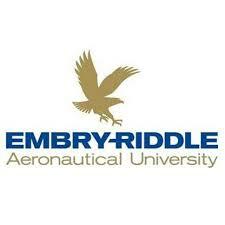 This 128-unit program is accredited by the Engineering Accreditation Commission of ABET. Students design and build racecars, underwater robotic vehicles, solar airplanes, drones and rockets in student clubs and compete in international competitions. They also get valuable experience in their senior design projects to design, build and test prototypes for industry and academic sponsors. It is a 4-year program. This 2-year program requires either a thesis, a master’s report option, or non-thesis/coursework to complete the degree. The undergraduate program requires a minimum of 129 credit hours and is accredited by the Engineering Accreditation Commission of ABET. The campus is located in Prescott, Arizona. Students can participate in engineering competitions locally, nationally, and even globally through a number of different professional organizations including the American Society of Mechanical Engineers, American Institute of Aeronautics and Astronautics and the Institute of Electrical and Electronics Engineers. The accelerated program allows qualified students to begin their graduate work for an MS degree in Mechanical Engineering while finishing their BS degree. Arizona offers people looking to enter the booming HVAC industry several great choices for higher education and professional training in HVAC. If an HVAC Technician is your ideal job, check out the options listed above for adult education, certificates and training. If you think you have what it takes to become a Mechanical Engineer, do some research on the Arizona engineering universities that interest you and start applying. It may lead you to a long and rewarding career as an engineer which will open doors for you both in HVAC and in many other industries.